We are pleased to announce our 2017 drivers for our Ginetta GT4 entry to the British GT Championship. Alex Reed, who made fantastic progress last year, will be joined by Dave Pittard. Dave replaces Joey Foster who has had to take the year out to concentrate on his business comitments. The team will continue with the Ginetta GT4, which showed itself to be as good as anything out there, taking a win against the odds at Spa last year Dave "I'm very excited to be partnering Alex Reed, Motorsport News' GT4 2016 driver of the year. 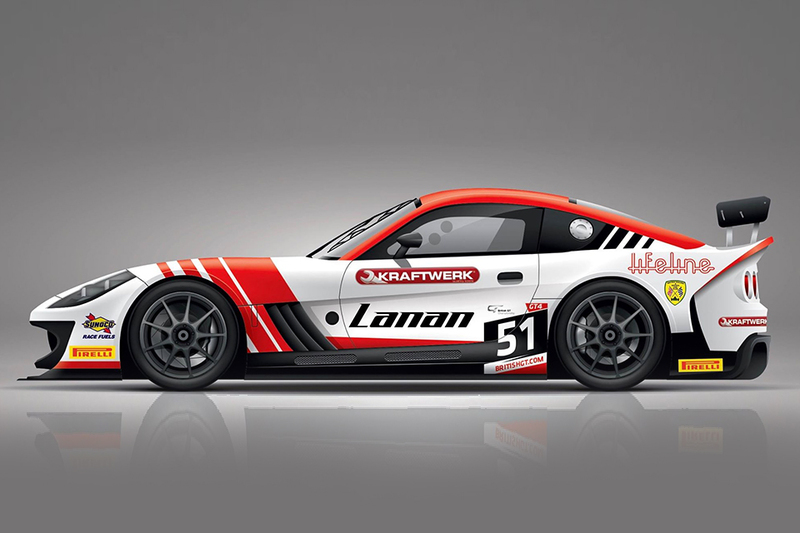 I'm equally excited to join Lanan Racing with their pedigree in single seaters & prototypes, Their impressive debut season in GT's with the Ginetta underlines their engineering and development skills." "Having to replace Joey was always going to be a tough task, but after a variety of discussions with a number of drivers, I felt Dave & Alex would be an awesome pairing in what is becoming the Championship to be in for GT drivers" said Graham Johnson, Team Principle.